I continued reading The Evernight series by Claudia Gray which I started in January with Evernight. At the start of February I read Stargazer, Hourglass and Afterlife. 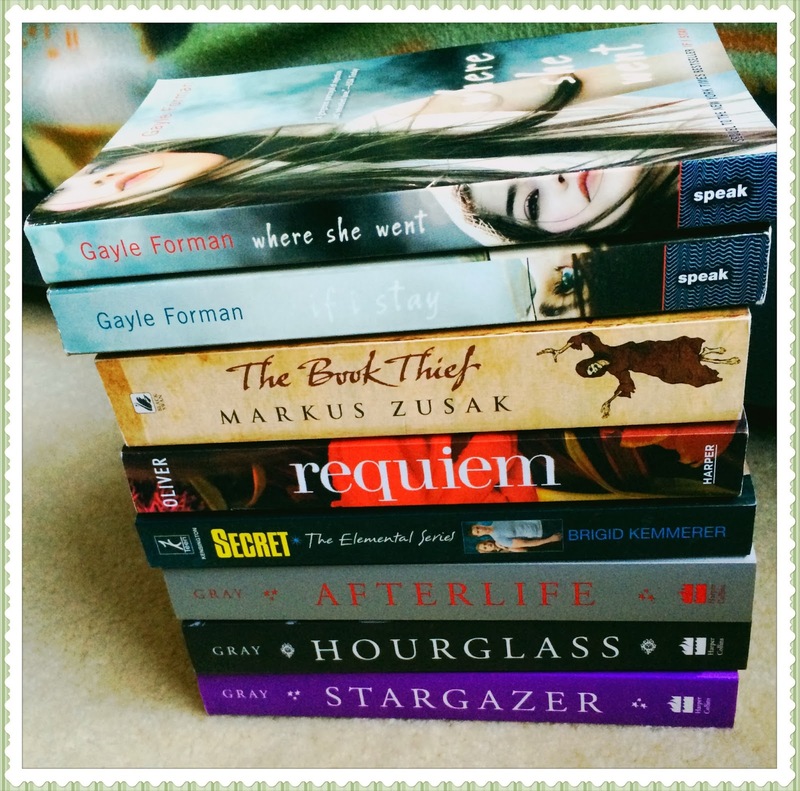 Though these books might not be completely adored by the bookish community, I really enjoyed them! Bianca could be a very frustrating main character but I felt like the other elements of the story made up for it (such as Balthazar..ahhh *fans self*), and ended up being a really good paranormal read, which is exactly what I wanted to read at the time. Following this I picked up Brigid Kemmerer's latest book in her Elemental series which was Secret. Ohh man I loved this one. I swear every book that this woman writes is going to be featured on my favourites shelf. They cover such deep issues, her characters are beautiful, and the story is just so engaging. Her books are just SO hard to put down. I couldn't help but adore both Nick and Quinn after reading this one. The paperback for Requiem by Lauren Oliver finally came out so I read that, and unlike the majority, actually enjoyed it! I know the ending left some wanting more, but I was actually okay with it. I felt like it was a really engaging conclusion to the Delirium series. The Book Thief by Markus Zusak..well...I already talked about this one here. But I adored that one. Quite possibly my favourite of the month. And my last reads were If I Stay and Where She Went by Gayle Forman which were both beautiful reads. The story itself was so tragic yet both books tackled it so beautiful. I couldn't help but feel for both Mia and Adam (oh Adam, more like ESPECIALLY Adam. My poor gorgeous boy *squishes*). This month has been SUCH a good month for TV. Not even joking, I managed to watch a whopping 57 episodes! I'm pretty sure I was out of control, but there were just so many good things to watch. Oh man oh man oh man oh MAN this show is amazing!! When I found out the synopsis of the show I just knew that I had to pick it up. For some reason, I just LOVE pirates, and a whole show for them? HELLS YES. I just finish Episode 6 last night and wowowowowow. This show is so intense and captivating. I was hooked (no pun intended hehe) from the start (and it just gets BETTER!). Now this show did take me a while to get obsessed with. I'd watched the first three episodes and wasn't quite sure if it was something that I wanted to stick with, but I fell in love during episode 4. 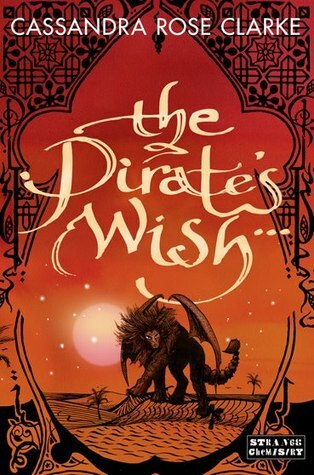 I adore the characters (particularly Aramis! *swoons*), especially once I got cozy and familiar with them and each episode has such epic sword fights. And um...PETER CAPALDI guys! The inner Whovian in me could not resist. I have to say that CW shows are my guilty pleasure shows. I don't think there is anything that particularly fabulous about Star-Crossed. In fact, when I first saw the trailer, I didn't think I'd pick it up. It didn't look like anything that special. But a few of my friends said it wasn't that bad and had potential, so I decided to give it a go. And hey, it's actually not that bad! It might only survive a season, but it's a season that I want to watch. So far I'm intrigued, and I think I may have a girl crush on Aimee Teegarden. February was also the month where I said goodbye to one of my recent favourite shows. I mean, there is still potential that it will be renewed for Season 3, but the ratings and number of viewers aren't high enough for it to be likely. And I have to say I cried when I realised I'd be saying goodbye to these two. I also caught up on Castle, Reign and The Originals. Caskett has been so adorable in the recent episodes of Castle and the mysteries have been EPIC. How good was the latest episode with the mind control. Gahhh, SO COOL. And I've finally managed to be happy with Alexis again, cause man she was getting on my nerves before! The Originals...DAMN this show. I mean, I know that I started it originally because it had weekly doses of Joseph Morgan but it has just become SO MUCH MORE. Oh and Elijah is a complete and utter badass. Man I love him. Well that's it folks! Did you accomplish all the real life and fandom things you wanted to do in February? Let me know! They were such good books weren't they? I adored them so much. <3 The Book Thief is definitely a book you have to read asap. :D Can't wait for you to get stuck into them m'dear.